This interactive activity book of beautifully detailed black-and-white illustrations will inspire you to bring each scene to life through colouring. There are pages and pages of charming images for each season that promise to delight everyone-with rambling rose gardens and whimsical garden critters; wreaths and alphabets composed of fruits and flowers; butterflies and seashells; intricate falling leaves and cozy cat-occupied living rooms; ribbons and Christmas trees; and lots and lots of empty spaces, just waiting for you and your coloured pencils to complete. 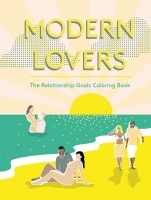 The Four Seasons Coloring Book will help you keep colour and joy in your life all year round. 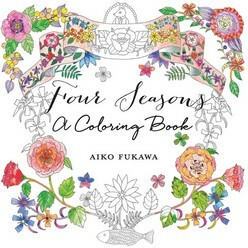 Colour your way through the four seasons.